The people running the show at Sledgehammer have experience with the Call of Duty games, but they developed later entries like Modern Warfare and Advanced Warfare, which were fairly well-received overall. Veterans Infinity Ward weren’t on board for this one, so we weren’t going to get a hot new version of classic Call of Duty. Would it work out? Well, it would appear Sledgehammer’s dev team figured it out. World War 2 has been brought to life magnificently. The game really takes advantage of modern technology to put players in the shoes of soldiers on the frontline. Let’s start with the campaign. After an intro sequence that introduces us to a motley crew of fresh recruits, the game tosses us right into the thick of it, specifically the D-day invasion. This is a questionable decision right off the bat, but one that shows the direction the story plans on taking: you’re assuming the position of an American who’s fresh on the battlefield. You start off as private Red Daniels and work your way through the Allied invasion of France. It’s tricky to use D-Day as a starting point, but there’s a payoff: Call of Duty WWII shows us that the D-Day landings were not the deathblow to Nazism that we typically see them as. They were the beginning of a a long and painful chapter of resistance against the Nazi forces. The campaign is not particularly long but it is incredibly well-written. The characters all feel like real people you could actually meet, and possibly even people you recall meeting. This makes their trials and tribulations all the more emotional. In terms of gameplay, the campaign ticks a lot of the standard boxes, mixing in all-out battles with stealth missions and urban shootouts. However, the campaign has crucially decided to eschew regenerating health and go for the classic model of picking up health packs. And it ratchets the tension up that much more. Additionally, the AI is surprisingly clever. You’ll find yourself struggling to get ahead in some levels, and that’s really as close as you can get to the old Call of Duty games, which were surprisingly tough. Unfortunately, the experience hasn’t improved all that much as campaign mode is still fairly short, all things considered. A welcome trip down memory lane, certainly, but a rather brief one at that. The real star of the show is, as always, multiplayer. You get 10 maps that vary between bombed-out bunkers and urban environments. As always, the maps have a creative structure that allows for multiple play styles. One play style, however, got the short end of the stick, and that’s sniping. Without lots of open spaces and high points, the maps end up favoring mid and short range engagement. That’s good news for the smg crowd, as World War 2’s weapon collection features the absolute classics of World War 2 weaponry, and they’re as fun as ever. Call of Duty has always had a great sense of gunplay, and World War II is no different. You’ve got strong recoil on some weapons, but the shots feel impactful and heavy. Moreover, the aiming mechanics are a good balance between tactical and arcade-ish, but it leans much more towards the latter. Nevertheless, when you think of Call of Duty, you don’t really expect a game to be praised by their high-end graphics. Sure the game is clean and crisp, but not really a slap in the face, and this is the same even for Call of Duty WWII. The PC version is visually very beautiful, with high resolution textures, a hint of newer and more modern effects on the front of lighting, shadows, and the usual well-done 3D facial models and animations. It does help with the immersion, as you feel immersed in a high quality animation feature film, including some crazy photorealistic cinematic custscene (although I should note that they aren’t powered by the in-game engine). The good news for PC players is that the game is not really demanding in terms of specifications to run at the optimal performance, can reach up to 2560×1440 (a resolution know as 2K) witch just a GeForce GTX 1060 card, but I’d recommend a higher range of RAM than 8GB because it’s a heavy memory-consuming game. On console, the game is as fluid at first sight with the PC version. Tested on a core Xbox One (not S or X), the game runs smoothly, without any major framerate drops, but it’s the mid-generation consoles that make full use of the engine, allowing for 4K and High Dynamic Range (HDR) on both the Xbox One X and the PlayStation 4 Pro. While Nazih couldn’t test the game yet on an Xbox One X, our fellow writing colleagues did mentioned that some areas are highly enhanced and noticeable with better shadows and aliasing on edges of objects. On the music side, there is also grandiose soundtrack, almost on par with epic productions, violin strings, and your “Saving Private Ryan” vive to it. What shines the most on the audio part of the game is the effects, which are sublime. The sound of M1 Garand clip snap up in the air, the shot of a M1897 Trench Gun, or the ambiance sounds might give you goosebumps, and would recommend using a great headset or surround sound to really enjoy it. On the other side of the coin is the more ridiculous Call of Duty experience: the classic zombies mode. This one felt like the most fun since World at War, and I think it worked so well because they mixed Nazis with Zombies to create a wonderfully evil villain. The mode isn’t all that new, but the maps thus far are pretty cool. At the end of the day, Call of Duty WWII managed to revisit its roots and deliver a new game with old blood. I would say the biggest issue, ultimately, is how much longer Call of Duty can do this. I’m a big fan of the series and a lot of people still enjoy Call of Duty’s classic gameplay, but I really feel there needs to be more innovation on the core. I get that Activision tried that with Infinite and got a ton of flak, but there’s still room to try out new things with the fan base, and I feel that will help rejuvenate it. Probably the best innovation that Call of Duty WWII offers is its war mode. This is the first time Call of Duty uses elements of base capturing on a large scale, and it feels like something we’ve seen done a lot in Battlefield. But Call of Duty manages to put its own spin on it, and the result is a fun, engaging objective-based mode. If you’re a fan of the classic Call of Duty gameplay, pick this one up right away. If not, it’s still one of the best shooters on the market so give it a shot. Call of Duty WWII was reviewed using a PC and Xbox One downloadable code provided by Activision. The core review was tested on a PC running Windows 10, with an 8GB NVIDIA Geforce GTX 1070 fitted on a 4th Generation Intel i7 4790 3.6Ghz CPU and topped with 16GB of RAM. The game is also available on PlayStation 4 in digital and retail releases. We don’t discuss review scores with publishers or developers prior to the review being published. 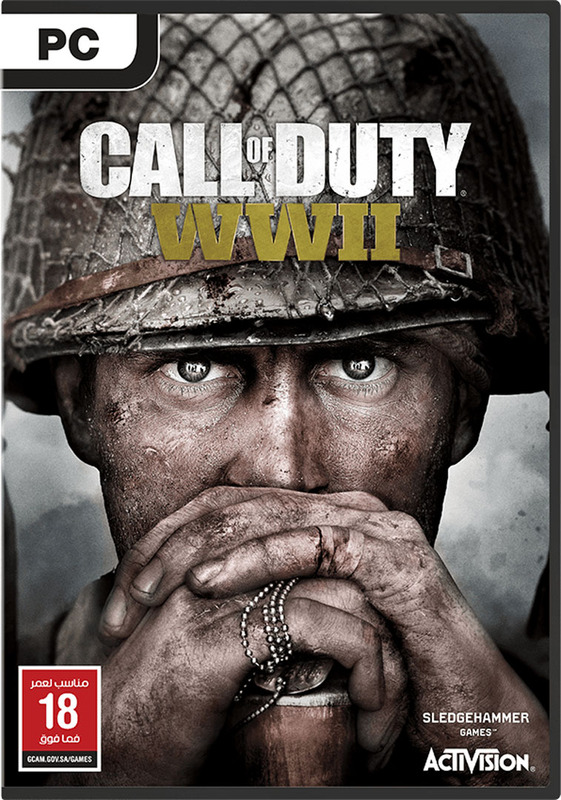 Call of Duty WWII manages to bring the series back to its roots and inject classic Call of Duty gameplay with slick new visuals and intense, atmospheric set pieces. Its new war mode gives the action a much more powerful feeling, and the campaign creates some truly memorable moments. Fans of the classic will be proud.